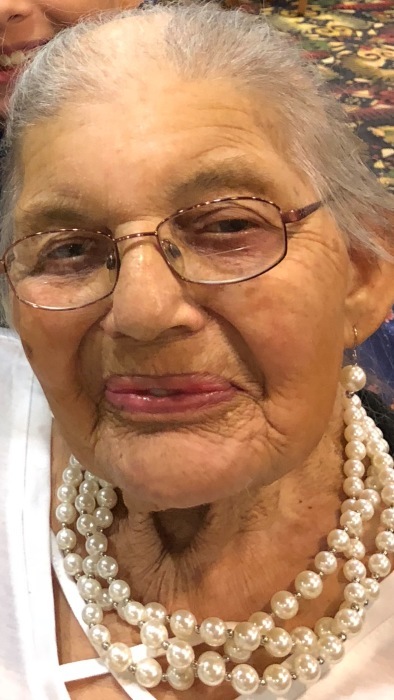 Isadora Maynor Scott, age 83 of Maxton passed away to her Heavenly home on Friday, February 8, 2019. Funeral services will be conducted at 3:00 p.m. Tuesday, February 12, 2019 at the Leitch Creek Baptist Church with burial following in the church cemetery. Isadora, daughter of the late Troy and Adell Smith Maynor was born September 25, 1935 in Robeson County. She dedicated her life to the love and care of her family as a homemaker and retired after 30 years of service as a cook from Willow Haven Nursing and Rehabilitation Center. She served as a longtime member of the Leitch Creek Baptist Church. Isadora loved life, loved making others laugh and when she was present, everyone shared in her joy. Known and loved by many, she always strived to help others in need. To her family, she will forever be treasured as a loving mother and grandmother. In addition to her parents, she is preceded in death by her husband, Don Scott; her children, Martha Ann Scott, Earl Scott and Carol Jean Smiling; brothers, Roosevelt Maynor, Woodrow Maynor, Roscoe Maynor and sister, Isabell Bryant. Isadora leaves behind her sons, Kenneth Scott (Pamela) of Raeford, Donald Scott (Ann) of Maxton, Bobby Scott (Lisa) of Maxton, James Norton, Sr., (Jennifer) of Raeford and her daughter, Patty Scott of Raeford; seventeen grandchildren, many great grandchildren and a host of nieces, nephews and loving family. Visitation will be from 7:00 until 9:00 p.m. Monday, February 11, 2019 at the family residence of 8174 Gaddy’s Mill Road, Maxton, NC.